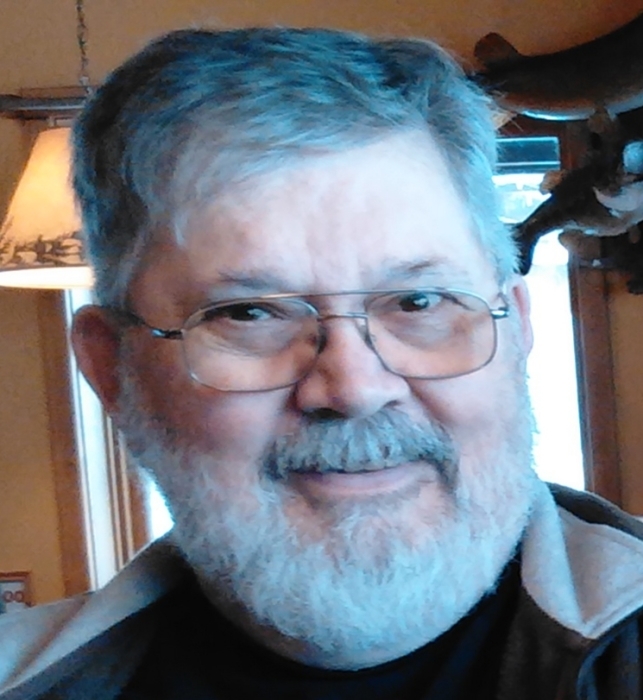 Dominic Albert John Bryngelson, 72 of St. Croix Falls, Wisconsin passed away at his home in Sterling Township on Monday, January 21, 2019. Dominic was born on December 21, 1946 in Minneapolis, Minnesota to Albert Carl and Laura Frances (Marxen) Bryngelson. Dominic graduated from the St. Croix Falls High School in 1964. He proudly served his country in the United States Air Force from 1965 – 1968 and served in Vietnam in 1966-1967. He was a career railroad man working for the Southern Pacific Railroad – 1969, Union Pacific Railroad – 1997 and retiring in January of 2007. Dominic was an energetic person who enjoyed all the joys of life. He loved the outdoors so he kept his property cleared of trees and snow and rode his ATV with passion. His favorite hobby was sitting on the front porch watching and identifying the birds, deer, bears, woodchuck and porcupine (who kept chewing on the garage). Dominic was a dedicated husband, father and grandfather which drove a desire for research in the genealogy of his family as well as others. The genealogy record currently holds around 5,000 names. As an avid trap shooter, he was a member of several local clubs and well respected by his fellow squad mates. Dominic even supported the local high school trap club by mentoring and coaching students. He was one of the first employees of Fawn-Doe-Rosa, escorting horse riders along the trails. During his teen years he worked on different farms during haying and threshing seasons. 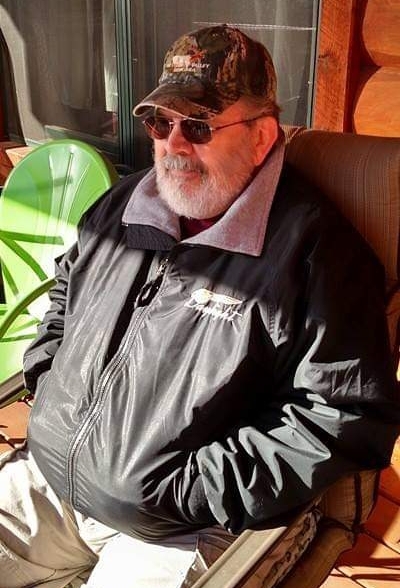 After serving in the Air Force, he worked for the Southern Pacific Railroad starting in Richmond, CA as a clerk at the rail yard and advanced to the Help Desk in San Francisco. Dominic became the Manager of the Help Desk and served in that position for 15 years. Union Pacific purchased Southern Pacific in 1997 and the Help Desk was moved to St. Louis, MO and since he was close to retirement he decided to stay with the railroad. He and his wife, Lois, lived in St. Louis for 7 years until the Help Desk was relocated to the Union Pacific Headquarters in Omaha, NE. After 38 years of service Dominic retired from the railroad in 2007 and purchased land in St. Croix Falls, WI where he and Lois built a log home. They love their beautiful home and tree filled property. The birds and other animals will miss him sitting on the porch rocking in the chair chatting with them. Sometimes asking them to be quiet…. as they were interrupting his thoughts of future projects. Dominic leaves to celebrate his memory, his wife, Lois Bryngelson, St. Croix Falls, two sons; Jeff Bryngelson, San Jose, CA and Jason Bryngelson, Modesto, CA, two granddaughters, Ashley and Samantha Bryngelson, Modesto, CA, sister, Kathy (Jim) Streuber, St. Croix Falls; niece, Kerri (Nathan) Poppler-James, sister-in-law, Janis (Reuben) Tsujimura, niece, Gina Tsujimura, nephew, Erik (Michelle) Tsujmura and other loving family and friends. He was preceded in death by his a parents, Albert Carl and Laura Frances Bryngelson and his brother-in-law, Gene Poppler. A Celebration of Life/Memorial Service for Dominic will be held on Saturday, April 27, 2019 at 11:00 A.M. at Our Lady of the Lakes Catholic Church in Balsam Lake, Wisconsin. Dominic’s cousin, Rita Creuzer will officiate the service. Visitation will be held at the church beginning at 10:00 A.M. Following the service please join the family for lunch and continued fellowship in the church fellowship hall. The Kolstad Family Funeral Home of Centuria has been entrusted with arrangements. There's still time to send flowers to the Visitation at the Our Lady of the Lakes Catholic Church from 10:00 AM to 11:00 AM on April 27, 2019.